Hi there, thank you all for your lovely comments about my blanket. It really was a most soothing and calming thing to make. But now I am head long into christmas crafting. It's just never long enough, even when you think you have started in time. I am already burning the midnight oil! This little fella will soon be winging his way across the Atlantic, a travelling fox brooch! made from the gift with mollie makes issue 32. I love this and am using the template to make more of course. I must let you know about my tiny pictures. I haven't managed everyday! but the idea is still there. The first few days felt a bit forced. I quickly realized that having a pre-fixed idea didn't really work. So I have to show up with an open mind. Isn't that a true! Day 4 was terrible as I hung on to my idea of a flower. And then on day 5 this happened. Not sure where it came from, but obviously I have been influenced by Flora Bowley here. It was such a difference from the first few. 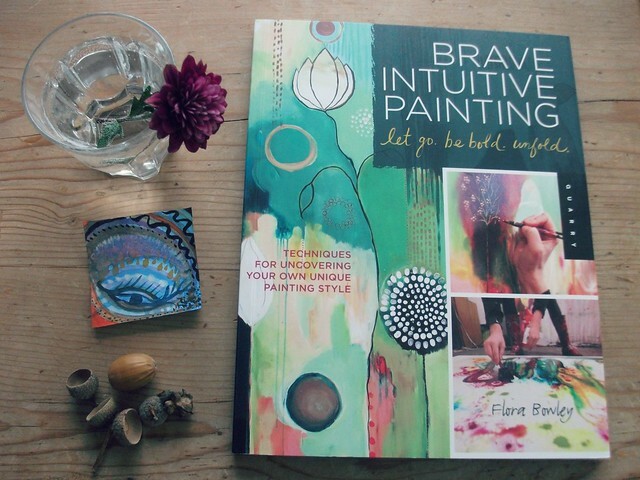 And then my Brave intuitive painting book arrived showing me more ideas and techniques. So in true blogger fashion I'm showing you the best one so far. I didn't think I could actually top this one and downed brushes for several days. Then I tried again and really didn't like the next picture, it was really quite disturbing! So I've downed brushes again. I'm thinking maybe I need a bigger piece of paper, or different paints or new tools?......or maybe I just need to be brave enough to show up again, no matter what else comes out. Be in the process, which deep down I know is what it's about! this project might spin out a bit longer than I thought but I hope to show you more eventually. Good luck with all your preparations. I haven't brought any cards or any presents yet. I haven't any decorations up yet either!..... well there is one and I will show you that soon. As you know well, the important thing is to try again and again!!! The result you are looking for, one day will be there just in front of your eyes!!!!! This is impressive and very well done to you. I laughed at your description of another one as disturbing - sadly most of my attempts at drawing or painting end up in the likely to disturb category! At least you are coming up with some gems as well so more power to your elbow. I want to try everything, sewing, painting, cooking... And I know that I should choose one for the success. The colour of that flower is beautiful! 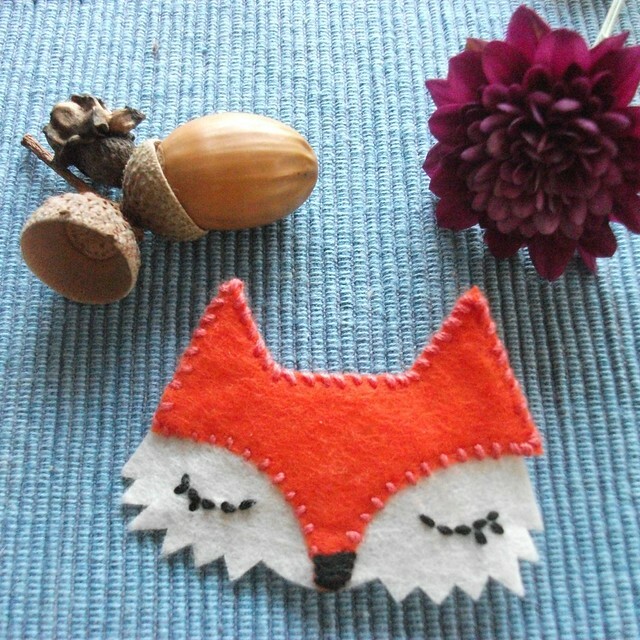 I love the little fox had so much fun making my for an Autumn blog swap and like you looking forward to using the pattern and my stash of felt (that I knew would come in handy one day!) to make lots more. Hi Heather, Love the flying little fox brooch and a stunning little painting too!!! Keep on trying Heather you're doing a stunning job!!! I will try and start my decorating this weekend, I hope I do get the chance!!! At least I have bought quite a few things already and hopefully I can avoid the last minute shopping rush!!! Have a fab weekend!! !